The latest Sims 4 patch has enabled a new “Positivity Challenge“ within the game that allows your Sims to collect exclusive Posters, a new Reward Trait, and a New Aspiration. 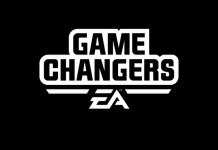 To help guide you through the Positivity Challenge, the game introduces Event Coordinator NPC Millie Bobby Brown to the game. To kick off the Positivity Challenge, use your Sim’s cell phone, select the Social tab, and call Event Coordinator. When Millie arrives, speak with her to learn about all about the Positivity Challenge taking place. Once you speak to Millie, use the second interaction and ask that she “Issue” your Sim the Positivity Challenge. 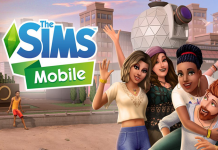 She will then place a “Gift Pile” on the home lot which your Sims can use to collect rewards along the way, and unlock the “Challenge Aspiration”. 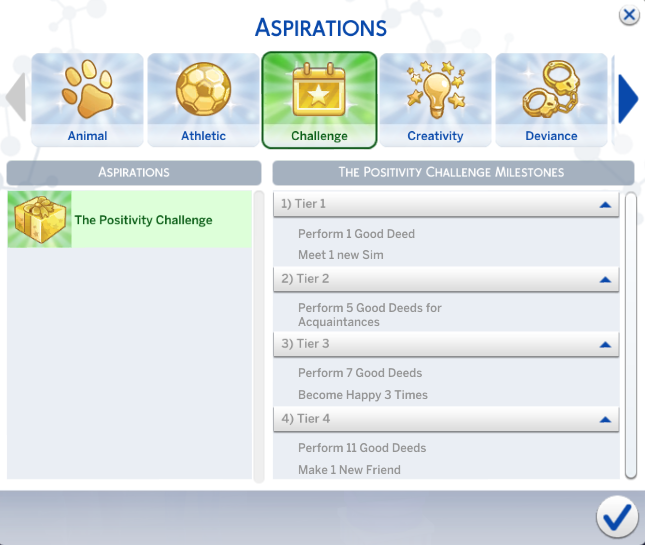 Having to Millie Bobby Brown “Issue the Positivity Challenge” to a Sim will unlock the “Challenge” Aspiration category. This new aspiration allows you to collect rewards and complete the challenge. You will need to complete 4 Tiers of objectives. ❗ Having a “Happy” Moodlet will help Sims perform the necessary actions to complete the challenge. 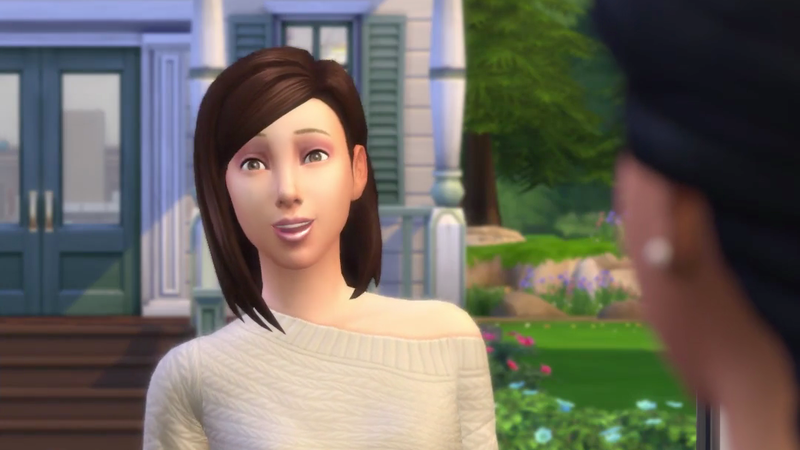 Once a Sim reaches level 2 in Charisma, they’ll have an easier time. Once your Sims have been issued the challenge, they will need to select the “Challenge” Aspiration to begin. 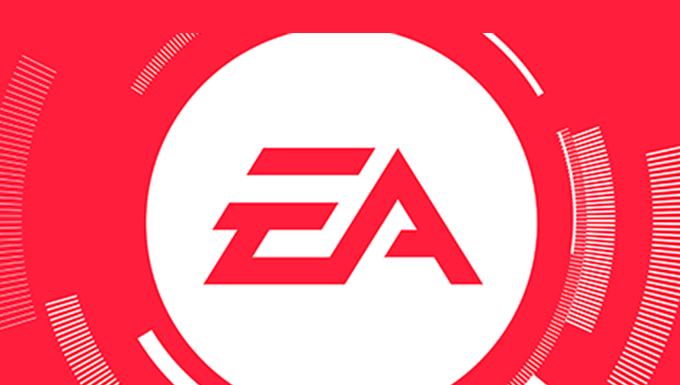 There are 4 Tiers to the aspiration, each of which require Sims take specific actions in the game. The aspiration hub has information and details. ❗ Challenge related interactions will contain the “Challenge Aspiration” icon. With every Aspiration Tier completed, Sims will receive new collectible “Positivity Posters”, a new collectible item in the game. Sims must collect all 4 to complete the challenge. Once a Sim has completed the Aspiration Goals and collected the posters, they can call back the Event Coordinator and use the “Receive Reward” interaction. 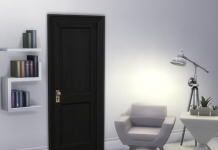 Millie Bobby Brown will then grant them with the “Kindness Ambassador” Reward Trait and unlock the “Challenge to be Kind” interaction they can use on other Sims. Kindness Ambassador (Reward Trait) – Kindness Ambassadors have stronger friendships and fewer Negative emotions. As Sims complete the different tiers of the Challenge Aspiration, they will unlock and collect 4 positivity posters. Viewing the posters give Sims random positive moodlets or skill buffs. Grin and Bear It! Common §940 Little bears know, when the going gets tough, grab your mama bear for a great big bear hug! It Happen Common §940 They always said, when it happens, magical things will occur. Well, it happened! Are you feeling majestic? Paradise Falls Common §940 If you're ever feeling down... think about taking a trip to Paradise Falls. Aside from a really depressing introduction, it's a pretty up place. The Sealinicorn, In Repose Common §940 Is she looking back to the sea, or forward to the horizon? What do you see? see sadness... because it's pretty tough to eat, with a giant horn sticking out of your nose.